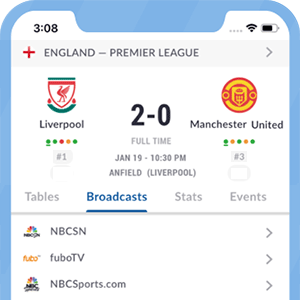 Sky Sports Red Button is available when multiple matches are broadcast at the same time. In this case, subscribers can simply choose which match to watch through Sky Sports Red Button. *Got itLive Soccer TV does not provide Sky Sports Red Button live streaming. The information provided on this page is simply Sky Sports Red Button soccer TV schedule.